Children's Television Poster: Underground Ernie is a Computer-animated children's television series shown by the BBC. 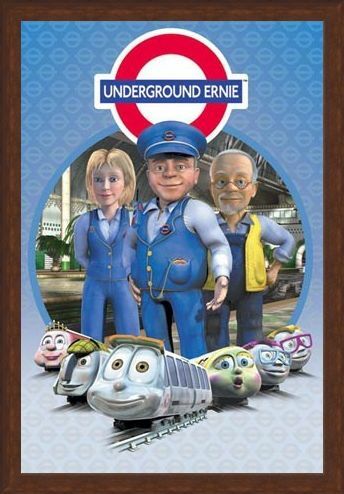 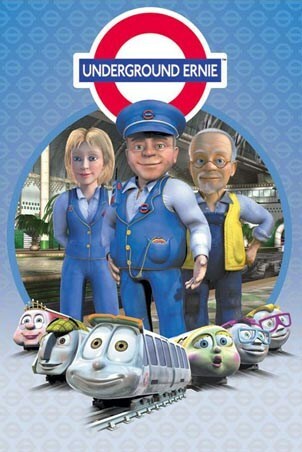 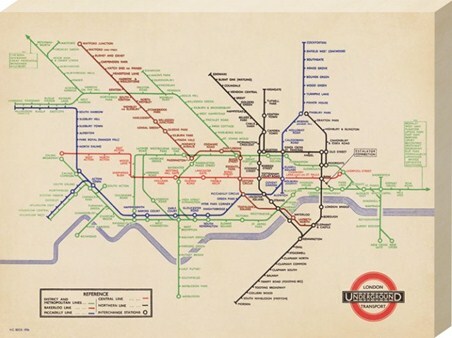 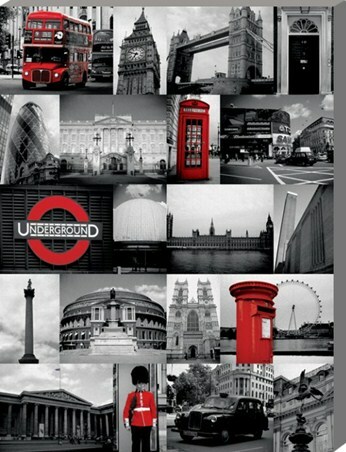 It is set in International Station, a fictional worldwide underground network, and focuses on the everyday adventures of Ernie, a friendly Underground supervisor, Millie, his multilingual colleague and Mr Rails the lovable maintenance man. High quality, framed Underground Ernie Character Collection, Underground Ernie poster with a bespoke frame by our custom framing service.